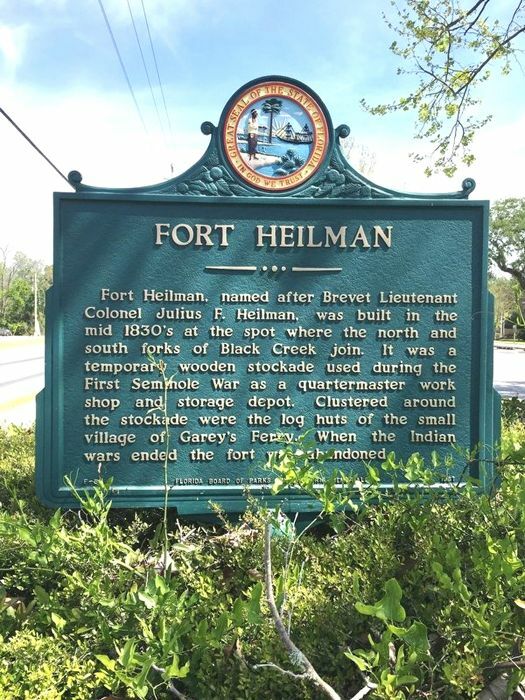 Fort Heileman was a U.S. Army post established in May 1836 during the Second Seminole War at the confluence of the north and south forks of Black Creek in present-day Middleburg, Florida. 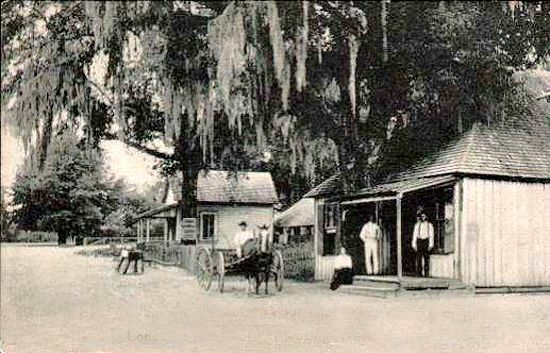 The post served as a Quartermaster depot and workshop and was quickly expanded as the soldiers tried to keep pace with the military growing involvement against the Seminole Indians. In 1837, the fort became an ordnance depot in 1837, when it was more often called Black Creek Arsenal. Though the post’s purpose was primarily administrative rather than defensive, frightened settlers often arrived in great numbers when the Seminole Indians attacked farms in the area. Though the fort never saw combat, but its military presence gave the local people great comfort. In these years, several more structures were built until the post included almost two dozen buildings, small wharves and the large ordnance depot was enclosed by a palisade wall. In 1840 the army began to slowly remove the supplies Fort Heileman to Fort Shannon in Palatka and on June 18, 1841, the troops marched south to Fort Wheelock. The 8th US. Infantry briefly re-occupied the fort in 1842. Afterward, civilians from the settlement of Garey’s Ferry occupied the buildings. The settlement grew around the fort and by 1851 it was renamed to Middleburg. There are no remains of the fort today but a historic marker stands in front of a shopping center at the intersection of Blanding Boulevard (Florida Route 21) and Scenic Drive in Middleburg, Florida.